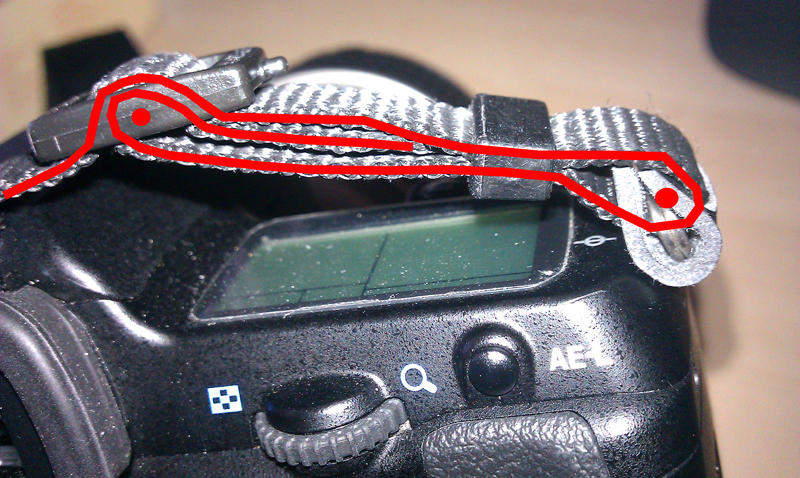 For close to 30 years, I have been wondering about the camera straps on various Pentax cameras. I've looked at my user manuals and looked for clues to the various "engineered" little pieces. There are some obvious bits on the Pentax straps that continue into the digital age that were originally intended for features that existed on film cameras. The little "nub" for example, is designed to press the film release button and to allow for multiple exposures on the same film frame. I also seem to recall a "reset" button on one of my cameras that uses the nub, but the exact model escapes me. The little nub on a Pentax camera strap buckle is a "Pentax Appendix", a vestigial detail, that has remained as we have evolved into the digital age. 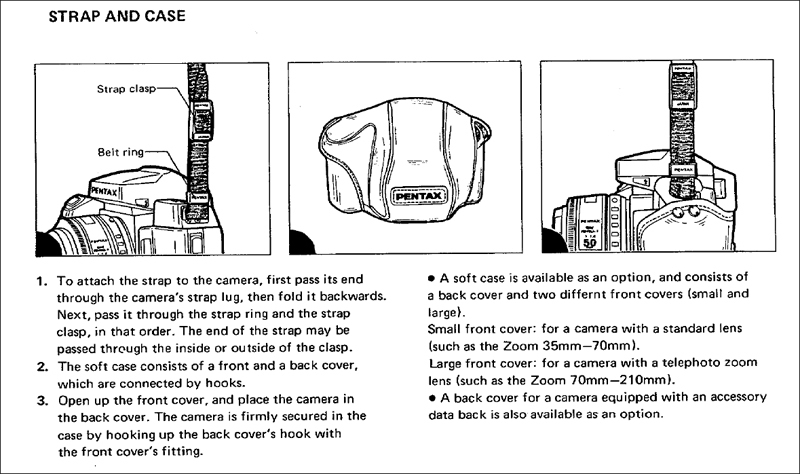 Pentax Camera straps used to have little pockets where you could store a remote, the viewfinder cover M, or a plug/flash cap. 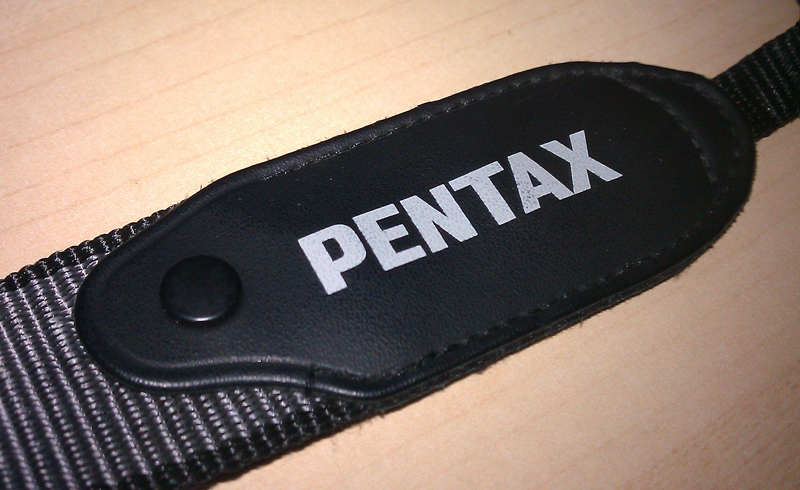 These cool little pockets are gone from current Pentax camera straps. Evolution being as it is. 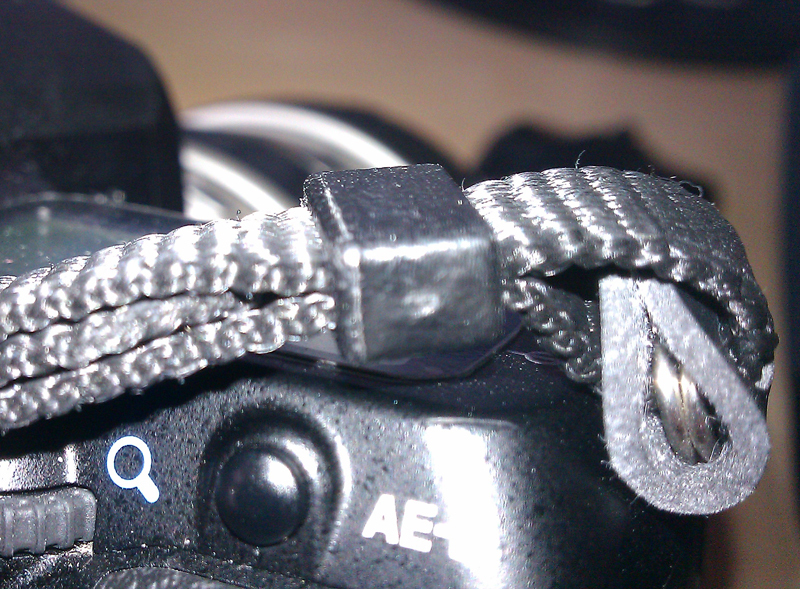 Probably the biggest mystery are the little plastic sleeves that exist on the actual camera straps. If you look closely, there is a taper to the rectangular pieces that allude to something that was engineered. Thinking about the taper on the plastic sleeve, and why it was engineered as such, got me thinking. 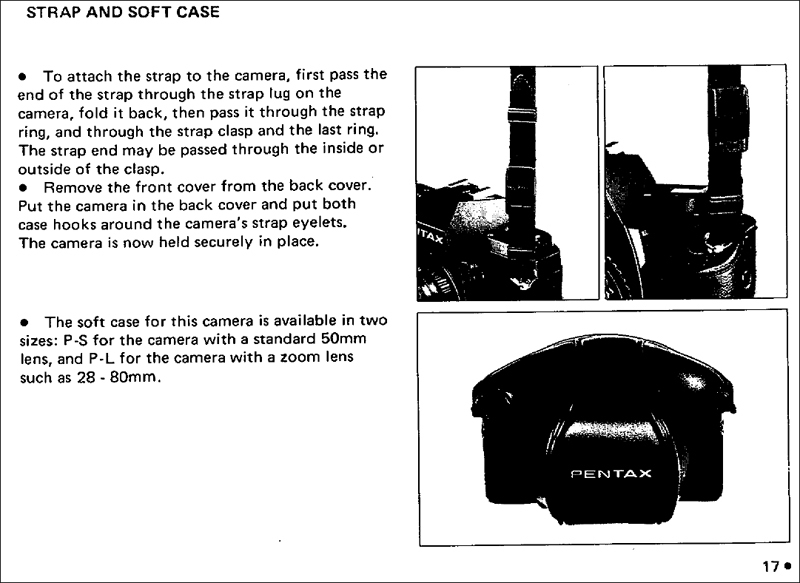 If I were to follow the Pentax manuals, and attach the camera as depicted, there is no reason for a taper to exist, as the two straps are parallel to each other and don't require a taper. Regardless, an engineered taper exists on the little plastic sleeve. What reasons for a taper? Reasons to use a taper could be for when something on one end is wider than the other, or to cinch/pinch something together. Looking for the clue, I proceeded to get all my user manuals, and look for the instructions for attaching the camera strap. Could there be something I was missing? After going through as many user manuals I could find, I was able to find some deviations, but the reason for the engineered taper on the plastic sleeve seemed to have been lost. 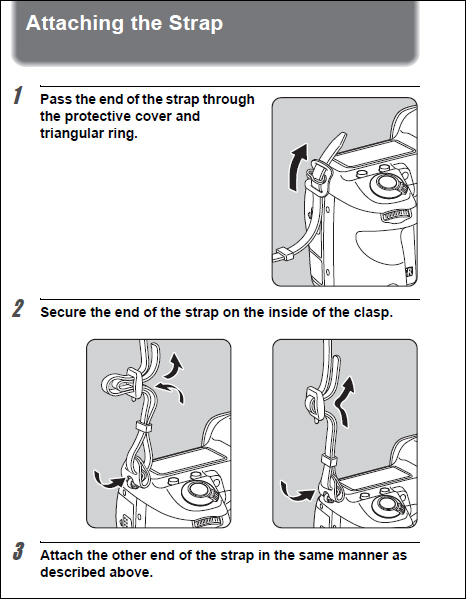 In the K and M generation user manuals, there were text instructions about "how" to attach the strap and just a picture of the finished attachment. In many cases it was not clear how the strap was threaded through the buckle. Over the years, there appeared some changes/differences. For example, in the P3 manual, the little plastic sleeve was used above the buckle! Then, during the SF generation, the location of the little plastic sleeve was below the buckle! The use and reason of the tapered little plastic sleeves, appears codified from the SF generation onward, as we have a continual unbroken method of attaching the camera strap that exists to this day. However, like the vestigial nub, I think the real reason for the engineered plastic sleeve is because of the way the Pentax camera strap is/was supposed to be used. I don't know where the specifics went or why the method was "lost", but if you attach the camera strap as such, you will see "why" there is a taper in the plastic sleeve. With the camera strap threaded through the lugs and buckle as such, the tapered plastic sleeve accepts the slightly larger end of the camera strap, and cinches/pinches it all together. 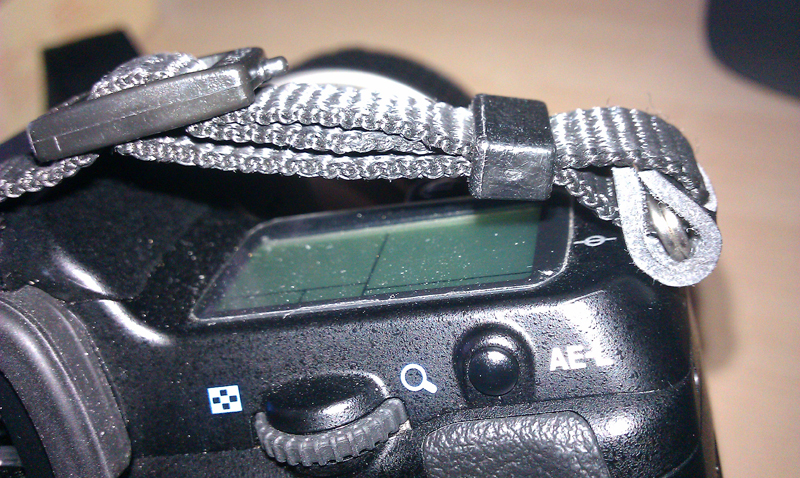 The end of the camera strap fits within the other two straps, and makes for a compact and clean way of securing the camera strap to the camera. Securing the straps in this manner prevents flapping of the strap ends in addition to preventing fraying of the strap ends. So for me, the myste ry is solved. To this day, the "recommended" method of attaching the strap to the camera, along with a tiny bit of meticulous engineering, has been lost to history - and tradition. 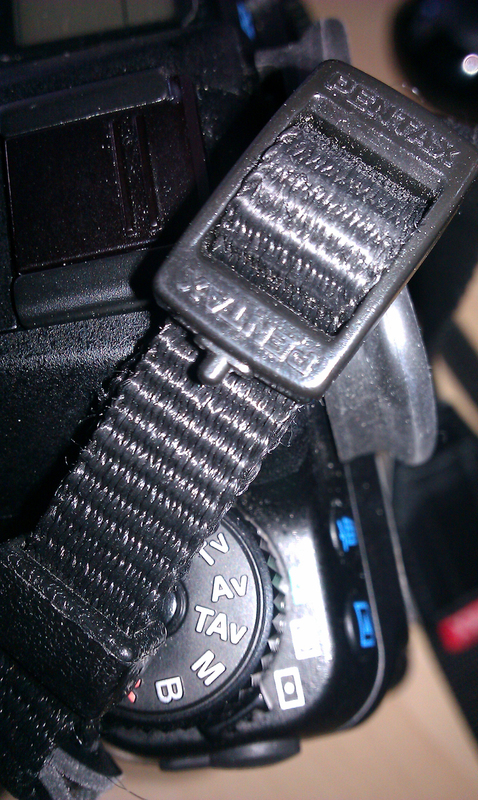 As of August/2012, the strap buckle nubs are gone on the K30. However the attachment method is still the same in the English manual. Section 2, Page 42.